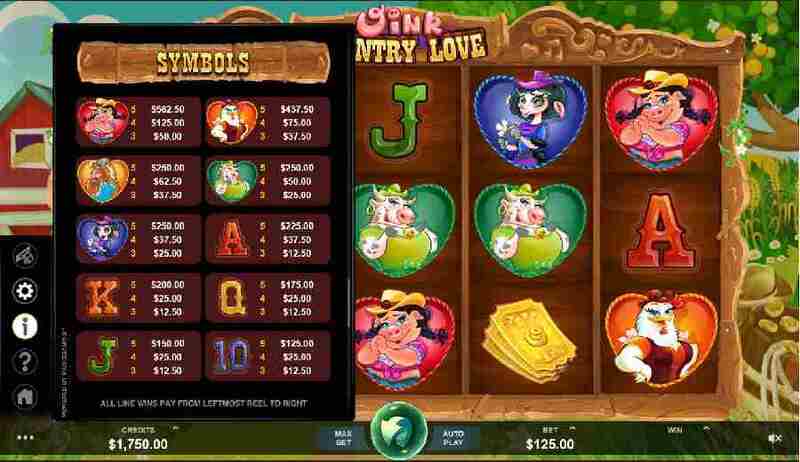 This slots game is all about joining the animals down on the Farm and enjoying the party atmosphere. 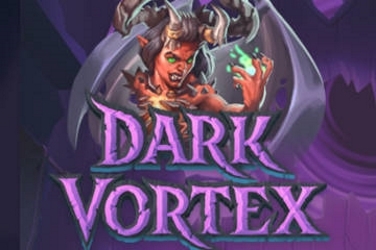 Not only does it have a rather odd title this casino release also has a weird story to tell. Upon the 5 reels players can find two male Pigs called Wally and Chancho who travel to the Country Farm to try and woo the female Pig Miss Southern Charm. But in their endeavour they attract the attention of some of the other female animals that are living in the yard. 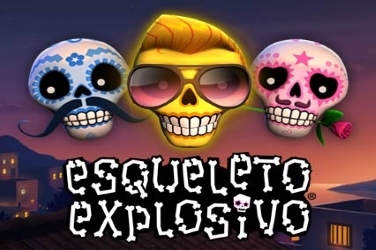 All of these characters have a cartoony appearance and the games designers have used bright and bold colors in their detailed high quality graphics. 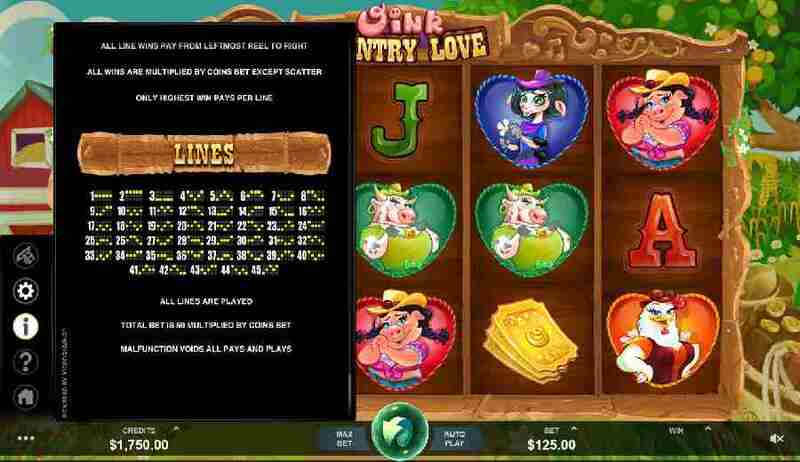 Since its release in August 2017 players have been accessing the Oink Country Farm slots game via Desktop, Tablet and Mobile devices. The steady beat of the music that can be heard adding to the fun element that the designers have created. 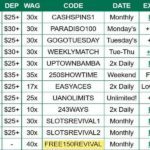 Setting the scene for a fun hoedown while the reels spin with up to 45 winning combinations to be found which all offer various pay-outs for players to claim. Designed in a Western style font and in various deep colors are the 10 through to Ace symbols. 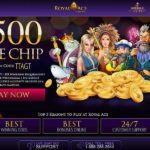 These may only provide the smallest winning amounts they do land regularly on the screen so there are plenty of chances for players to add to their jackpot. In addition to these and each within their own different colored heart shaped frame are the female animals who are trying to get Wally and Chancho’s attention. 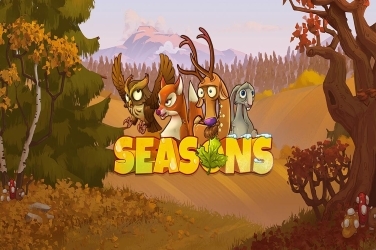 Players will see symbols including a Cow, a Horse, a Sheep and a Chicken. However it is the Pig character Miss Southern Charm who players really need to search for. Wild – Wally and Chancho are the Wild symbols with one playing a Fiddle while the other has a Banjo. 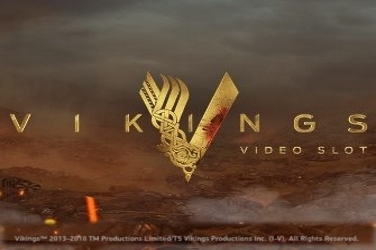 Whenever they land on the games reels they can change any of the Basic Symbols if there is the opportunity to create a winning combination. 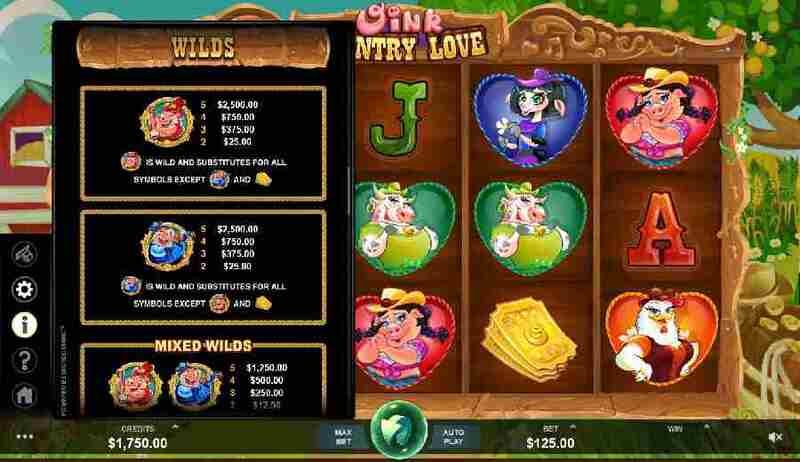 However Microgaming have given this Feature an additional twist as not only can the Wilds work separately but a combination of both symbols will also give players the same result. 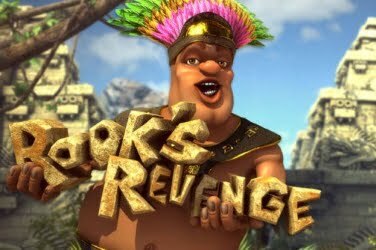 This means that even more wins can be claimed while enjoying the fun that this casino game provides. Scatter – this symbol are some Golden Tickets and they offer numerous chances for players to add to their jackpot balance. 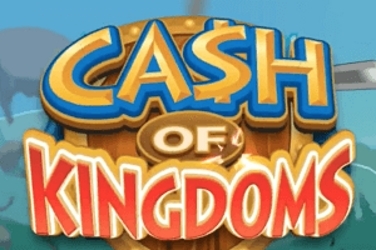 3 or more Scatters can fall in any position on the reels to see a random cash prize being rewarded to players. 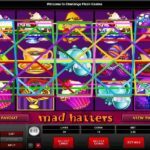 However if they land on adjacent reels starting from the left then the Free Spins Bonus Round is activated. Barnyard Bash Free Spins – this element of the game begins when 3 or more Scatter symbols appear in a row after any spin of the reels. The amount of additional turns allowed depends on how many symbols were used to activate the Feature. These are given as 5x, 10x, or 20x respectfully and can lead to more winning combinations being found. 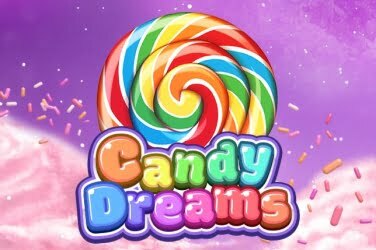 However if there are 2x Scatters on the 2nd or 3rd reel then the amount of Free Spins given is doubled. This can be raised even higher if 2x Golden Ticket symbols are found on both the 2nd and 3rd reel where any Spins will be then quadrupled. 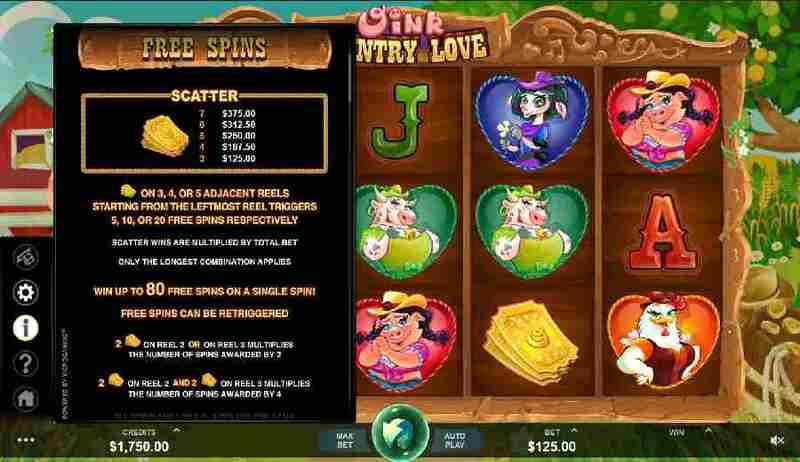 At any time during the Oink Country Farm slots game this Bonus Feature can be re triggered so there is the potential of the player receiving up to 160x Free Spins if they are lucky enough. 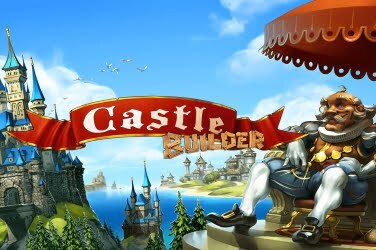 The coin denomination used in this online casino game varies widely so it is appealing to players of any level. Wagers begin at just 0.50 but can be altered by using the +/- button that is found on the Control Panel at the bottom of the screen. 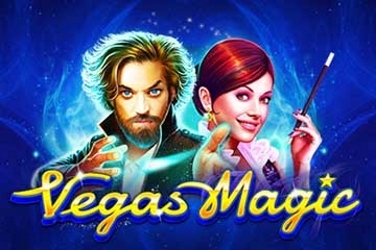 The maximum stake allowed on the 45 pay lines rises to 125.00 but players may need to keep an eye on their budget as this is a Low to Medium velocity slots game. 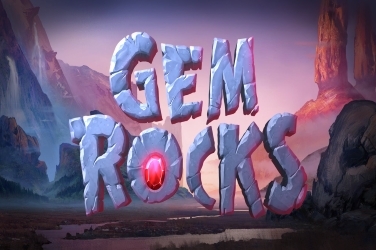 With 2x Wild symbols and a Golden Tickets Scatter there is plenty to keep players entertained during this game. 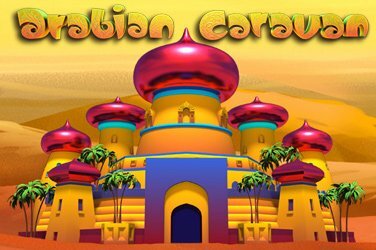 And with the addition of the Barnyard Bash Free Spins Feature offering numerous chances for players to increase their jackpot balance even further the RTP of 96.4% is enticing many from around the globe who like the comical and fun Hillbilly theme that the Oink Country Farm slots game provides. 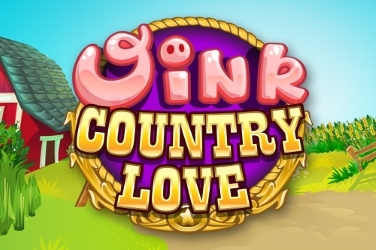 – Try Oink Country Love here with a free spin or visit microgaming casinos to play for real money.